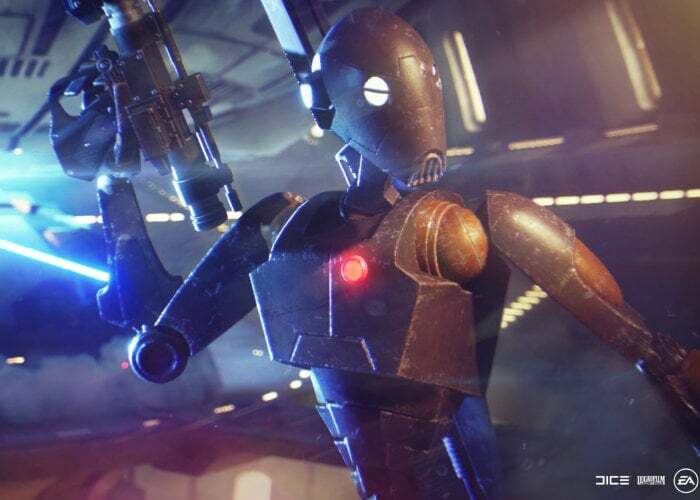 Tomorrow EA will be rolling out its new Capital Supremacy mode for the Star Wars Battlefront II game bringing with it a battle between the forces of the Galactic Republic and Separatists. Offering players and immersive, Clone Wars-era authentic experience where non-linear ground battles fuse with the thrill of invading capital ships and taking them down. Along with the update, we’re releasing our latest location, Pipeline Junction West on Geonosis, plus the Separatist Dreadnought and Republic Attack Cruiser capital ship interiors – all serving as settings to the dynamic and tactical warfare of Capital Supremacy. Two additional reinforcement units join the battle as well – the Infiltrator class Republic ARC Trooper and Separatist BX Commando Droid. “The looming capital ships overlook the scenery where players deploy into the thick of the Clone Wars. They enter an open-ended warzone accompanied by vicious blaster fire, calculating droids, and morale-boosting rallying cries. For more information on the elite operatives jump over to the official EA website where more information is provided.